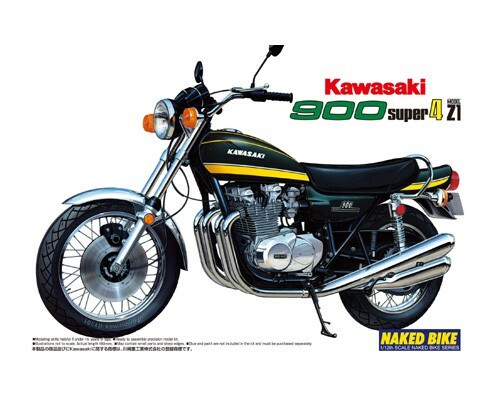 900 SUPER-FOUR, so-called Z1, were released worldwide in Aug., 1972 from Kawasaki as the first DOHC 4 cylinder Engine mass production car all over the world. Z1 Engine was continued to GPZ1100 generation. 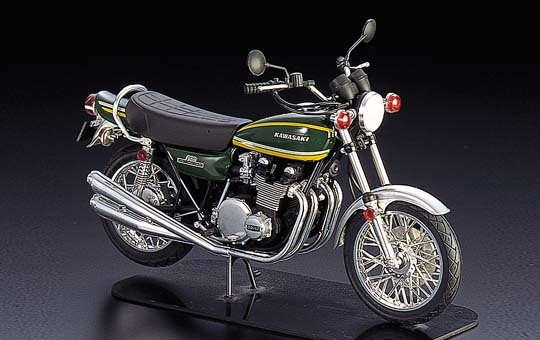 24hr full throttle running test was held in Daytona in 1973. The average speed was 176.45km, which proved the machine's perfectness. This kit won the title of BIKE OF THE YEAR all over the world with its dulability and streamline shape and acquired lots of fans.